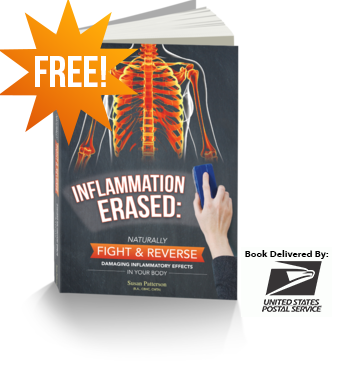 Every person’s health and well-being is dependent on how their body removes and purges toxins from the body. With all the environmental pollution, toxic body care products and processed foods, most people are in desperate need of a serious detox! 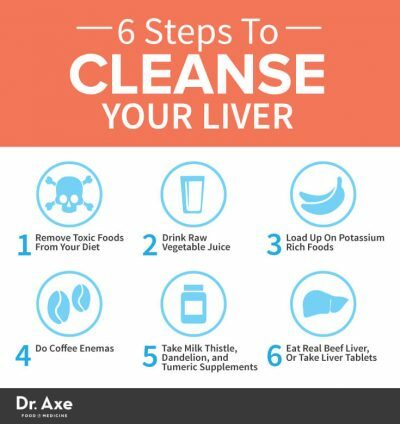 A liver cleanse is a great way to do this. 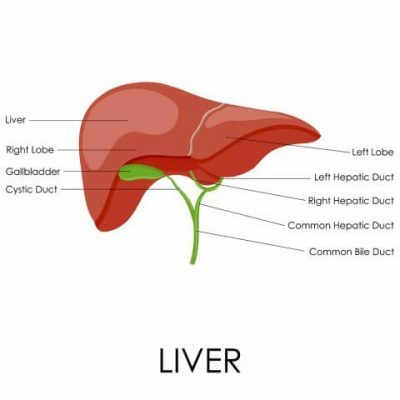 One of the main ways that the body rids itself of toxins is through the liver. In fact, the liver is one of the hardest working organs in the body. It works tirelessly to detoxify our blood, produce the bile needed to digest fat, break down hormones, and store essential vitamins, minerals and iron. And when the liver is not functioning optimally, we cannot digest our food properly, especially fats! 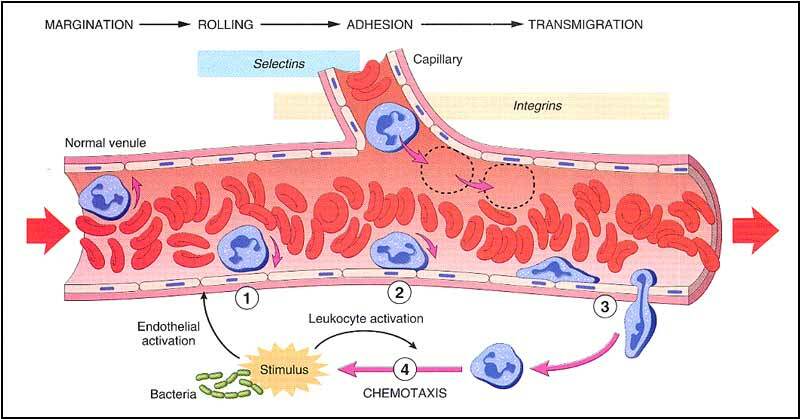 Processing nutrients absorbed by the intestines so they are more efficiently absorbed. Regulating blood composition to balance protein, fat and sugar. Producing essential chemicals to help blood clot properly. Breaking down and metabolizing of alcohol and medications. Producing essential proteins and cholesterol. Removing toxins from the blood stream including bilirubin, ammonia and others. Storing of minerals, iron and Vitamin A. 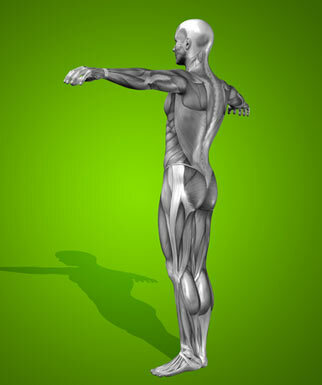 For the liver to take care of the body, it must be able to perform optimally. When most people think of liver disease, they think only of alcohol-induced cirrhosis. Cirrhosis is a serious health condition, but contrary to popular thought, alcoholism is not the only cause. Cirrhosis occurs when scar tissue replaces the healthy cells in the liver. As the scar tissue continues to grow, the liver’s ability to function is diminished. Liver failure is the next biological step and occurs when the scar tissue has created so much damage, it no longer functions. Blood transfusions prior to 1992. Exposure to certain industrial chemicals and environmental toxins. Obesity, and a diet high in saturated fats, and processed foods. High levels of triglycerides in the blood. If you have recently noticed any of the symptoms listed below, you could be suffering from impaired liver function. It is particularly important to consider these symptoms if you identify with one or more of the risk factors mentioned above. Fortunately, you can improve your liver’s functioning. Through a thorough liver cleanse, you can start to feel better in a matter of a couple of weeks. If you are eating a diet high in processed foods, you are putting the health of your liver at risk. Hydrogenated oils, refined sugar, convenience foods and lunch meats are notoriously toxic to your system. For example, added nitrates and nitrites, commonly found in convenience foods, fast foods and lunch meats, have been linked to serious health conditions. These chemicals are used to preserve foods to make them last longer, inhibit bacteria growth and preserve color. Replace these foods immediately with healthy choices. Healthy foods taste great, and with a bit of creativity, you can create healthful meals for your family. Roast your own organic chicken breast and turkey breast to replace deli meats for quick lunches and after school snacks. Replace chips and other processed snacks with fresh fruit, carrot sticks, nuts and homemade granola bars. Hydrogenated oils, also known as ‘trans fats,’ have higher levels of saturated fat. The chemical structure of the oil itself has been altered to increase shelf life. Consumption of trans fats dramatically increases the risk for heart disease by 25% or more. 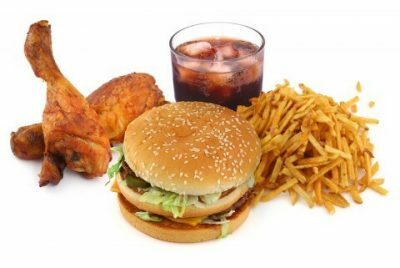 In addition, it is believed that trans fats cause problems with our immune system and can lead to inflammation throughout the body. For a healthy (and tasty) alternative to kid-favorite macaroni and cheese, try my Cheesy Spaghetti Squash with Raisins and Walnuts. Spaghetti squash is low in calories, low in saturated fat, and considered a good source of Niacin, Vitamin B6, Manganese, Pantothenic Acid and is rich with Potassium. The walnuts are packed with Omega-3 fatty acids and contain anti-oxidants to boost cardiovascular health. It can be nearly impossible to eat all of the raw vegetables you need to make your liver cleanse effective. However, by juicing a variety of raw vegetables, you can easily get the 4-5 servings of fresh, organic vegetables you need. Even vegetables that aren’t your favorites can be disguised and enjoyed in a fresh vegetable juice. 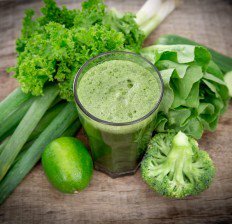 With impaired liver function, juicing vegetables has the added benefit of making the vegetables easier to digest, and more readily available for absorption. Vegetables ideal for a liver cleanse include cabbage, cauliflower, and Brussels sprouts. While that combination may not sound very enjoyable, you can add other vegetables that you enjoy to the mix including carrots, cucumber, beets and greens. All of these vegetables help to reduce acid levels in the body, helping to create a more friendly pH balance. Experiment with your favorite flavor combinations; you can add fresh herbs including parsley, mint and others to make the juices more enjoyable. Try my kid-friendly Orange Carrot Ginger Juice. Fresh, organic carrots are essential to any liver cleanse (5). In the liver, the beta-carotene is converted into Vitamin A to help flush out the toxins in the body while reducing fat in the liver. The high fiber content helps support a healthy digestive tract, hastening the elimination of toxins in your body. The ginger root helps to soothe the digestive tract, reduce intestinal gas, and has strong anti-inflammatory compounds. The fresh oranges in this recipe not only add tangy sweetness, but also add significant Vitamin C, additional Vitamin A and Vitamin B-6. Are you getting the recommended 4,700 milligrams per day of potassium? Chances are, you aren’t. Potassium-rich foods help to lower systolic blood pressure, lower cholesterol and support a healthy cardiovascular system, in addition to helping cleanse your liver. If you have been tempted to take potassium supplements, instead add these healthful foods to your diet. 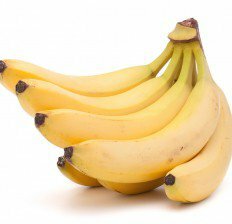 Surprisingly, it is not the banana that is the richest in potassium. It is the sweet potato. A single medium sweet potato contains nearly 700 milligrams of potassium, not to mention the high fiber and beta-carotene content. 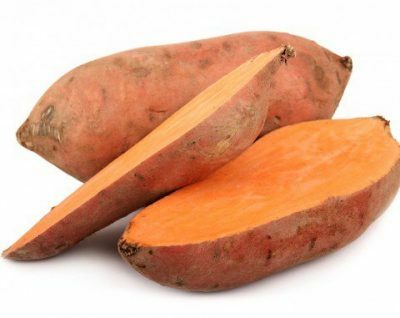 A sweet potato only has 131 calories, yet is rich with Vitamins B-6, C, D, magnesium and iron. While naturally sweet, the sugars actually are slowly released into the bloodstream through the liver, without causing a spike in blood sugar. 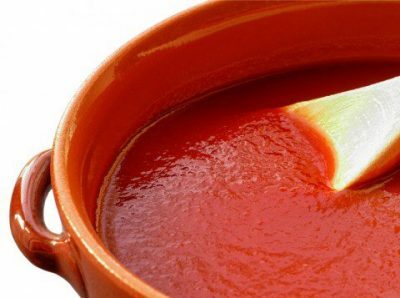 Potassium, and the other beneficial nutrients in tomatoes, is significantly concentrated as a sauce, puree or as a paste. As an example, 1 cup of tomato puree contains 1065 milligrams of potassium, where 1 cup of fresh tomatoes, contains only 400 milligrams. When selecting tomato sauce, paste or puree, be sure to choose those made only from organic tomatoes. To make your own concentrated tomato sauce, slice organic tomatoes in half and roast face down in the oven for 30 minutes at 425 degrees, until the skin has shriveled. Remove from oven, and let cool. Slide the skins off and gently crush in your food processor or blender. Strain to remove seeds, if you desire. Pour into a Dutch oven, and let simmer until thick 1 to 2 hours. Rich in anti-oxidants, beet greens contain over 1300 milligrams of potassium per cup. 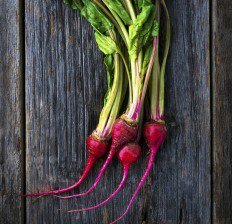 Add beets and beet greens to your fresh vegetable juice recipe, finely chop and add raw to salads, or sauté lightly, like other greens. Beets also naturally cleanse the gallbladder and improve bile flow. Fresh organic spinach is easily added to your diet, and is a good source of potassium, containing 840 milligrams per serving. 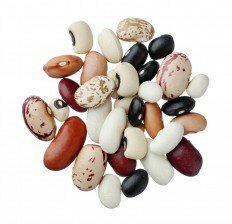 White beans, kidney beans and lima beans are all rich with potassium, protein and fiber. Swap out one of these potassium rich beans for garbanzo beans in your favorite hummus recipe, and eat with carrot sticks and celery sticks. Just 2 teaspoons of this rich all-natural syrup contains 10% of the daily-recommended amount of potassium. In addition to potassium, blackstrap molasses is rich with iron, calcium, manganese and copper. 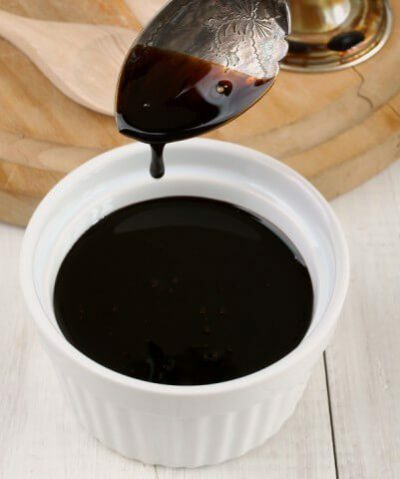 Incorporate blackstrap molasses into your diet by replacing other natural sweeteners with it, to create barbeque sauces, and to top oatmeal or quinoa porridge in the mornings. 2 teaspoons added to coffee intensifies the richness of the coffee, while lowering the acidic taste. And finally, add a banana to your favorite smoothie. While in comparison to the other high potassium foods on this list, the banana’s 470 milligrams of potassium are only part of the story. Bananas assist in digestion, and help to release toxins and heavy metals from the body – all of which are essential during a liver cleanse. Please note: If you have high levels of potassium in your kidneys, foods rich in potassium should be consumed moderately. Coffee enemas help with constipation, reduce fatigue, and aid in liver detoxification. During the enema, organic coffee is retained in your bowel, allowing the fluid to enter the liver through the intestinal wall. This has a stimulating effect that increases bile flow, helping to jump-start both your gallbladder and your liver. This sparks the production of the chemical glutathione, a strong cleansing compound that helps to release the build up of toxins in your system. Eliminating the toxins during a liver cleanse is the most important thing, so they don’t build up and are moved quickly out of your system. 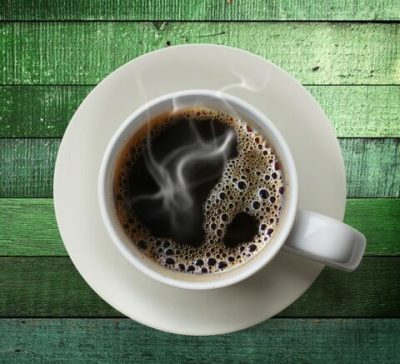 Combine 2 tablespoons of organic ground coffee with 3 cups of filtered or distilled water and bring to a boil. Simmer gently for 15 minutes and allow to cool. Strain the mixture through cheesecloth and use in your enema kit. Try to retain the mixture for 10-15 minutes, and then release. 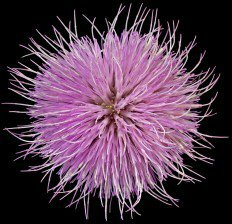 Milk Thistle is considered the “king” of detoxifying herbs, making it ideal for a liver cleanse. Milk thistle helps to eliminate the buildup of heavy metals, prescription medications, environmental pollutants and alcohol in the liver. 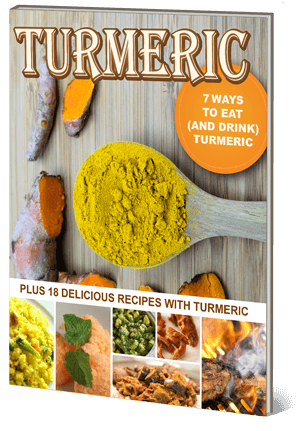 Turmeric reduces joint pain, is an effective anti-depressant, aids in digestion, helps to restore a healthy blood sugar balance, and supports healthy liver tissue and liver metabolism (7). Currently, researchers are studying turmeric for a variety of health benefits for diseases and conditions including Alzheimer’s disease, cancer, depression, osteoarthritis, breast health, prostate health and chronic pain. 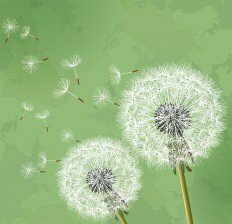 Most homeowners hate the dandelion, as it volunteers to populate yards every Spring. But, this flower, and its root, is actually packed with vitamins and minerals. Dandelion root has a natural diuretic effect, allowing your liver to more quickly eliminate toxins. It also helps to strengthen the immune system, balance blood sugar levels, relieve heartburn, and soothe digestive upset. 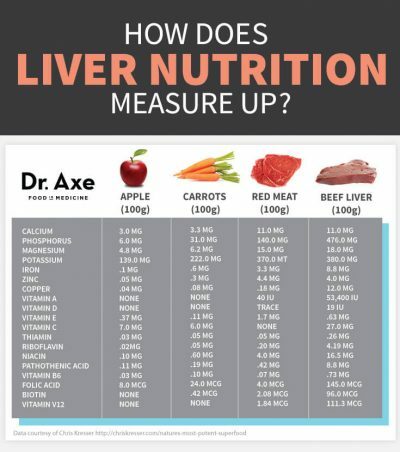 Liver from young, healthy, grass-fed cattle or chicken liver is rich with Vitamins A and B, folic acid, choline, iron, copper, zinc, chromium and CoQ10. Liver is one of the most nutrient-dense foods we can eat. If you can’t stomach eating liver, you can take beef liver pills. Seek a supplement that guarantees no hormones, pesticides or antibiotics are used in the feeding and care of the cattle. In addition to the healthy foods and supplements mentioned above, you can give your liver a boost by starting with a 24-hour cleanse. In the 7 days prior, eat kale, cabbage, lettuce, cauliflower, broccoli, Brussels sprouts, citrus fruits, asparagus, beets and celery. 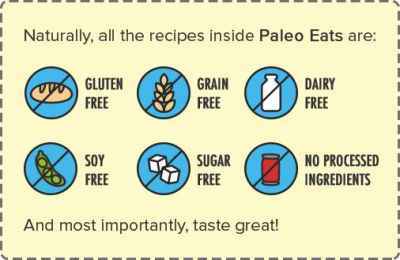 Avoid any processed foods, and eat free-range organic meats, refined carbohydrates and gluten sparingly. This preparation will help facilitate the cleanse. 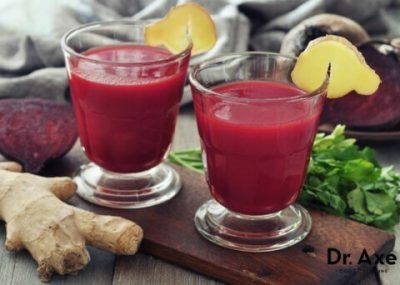 Try my Secret Detox Drink during your week of preparing your body. It boosts your energy and helps you to detox and cleanse the liver. This recipe calls for apple cider vinegar, lemon juice, cayenne pepper, cinnamon and water. Dilute cranberry juice with a ratio of 3 parts water to 1 part cranberry juice. Add 1 teaspoon of nutmeg, ginger and cinnamon into a tea infuser and let steep in simmering water for 20 minutes. Add the juice of 3 oranges and 3 lemons and stir. If the mixture is too tart, sweeten with your favorite all-natural sweetener. You should consume a minimum of 72 ounces of this mixture and 72 ounces of water. After 1 day of the cranberry juice blend, reintroduce the foods you ate in preparation for the cleanse. You can also try my Liver Cleanse supplement to help keep your liver in tip-top shape! Cleansing and detoxing the liver and colon helps to clear pesticides, medications, heavy metals and the remnants of cancer therapy out of your system, resulting in a healthy liver. To keep your liver healthy through the years, periodically do a 24-hour liver cleanse, and maintain a healthy diet void of processed foods, and high in vegetables, legumes and whole grains.